As an Anthropology student in California years ago, I do not remember ever hearing about this remarkable woman. It was only after coming here to Florida in 2000, that I became aware of her work in my own field of study. I was at the University of Florida Press in Gainesville one day, picking up some books, when I noticed a stack of hers on the counter. So this is a brief introduction into the world of this extraordinary African-American woman, whose life was just celebrated recently in the Annual Zora Festival in Eatonville. Although many are not aware, Zora was not born in Florida, she was born in Notasulga, Alabama on January 7, 1891, but was brought to Eatonville at the tender age of 3. Eatonville, which is near Orlando, was/is one of first all black towns in this country. I believe it was certainly the first one here in Florida. Zora was the daughter of Baptist preacher and after they moved to Florida, he later became the Mayor of Eatonville. After her mother died when she was 13, her father remarried quite quickly and soon after, her father and new step-mother sent her away to a boarding school in Jacksonville. When they stopped paying for her tuition, Zora took what ever work she could find during this period, to stay in school. During this time she worked with renown Anthropologists, Franz Boaz and Margaret Mead. She also became an active writing member of the Harlem Renaissance Era in the 1920’s. 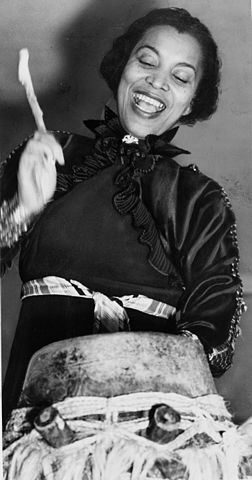 Sadly, Zora later had several personal issues that hurt her and caused her great embarrassment. Like so many other very talented, political and social trailblazers, Zora died alone and poor. She was buried in the Garden of Heavenly Rest in Fort Pierce, Florida, in an unmarked grave in 1960. Years later in 1973, an upcoming author Alice Walker (who in 1982 would write The Color Purple) and who had benefitted from Zora’s example and writing, went to Fort Pierce and found what she believed to be her grave site and had a marker placed there.